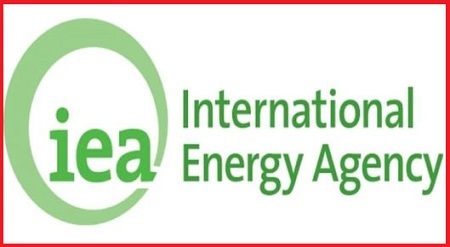 The International Energy Agency (IEA) report on Carbon dioxide emissions are driven by higher energy demand in 2018, global energy-related CO2 emissions rose 1.7% to a historic high of 33.1 Gt CO2. While emissions from all fossil fuels increased, the power sector accounted for nearly two-thirds of emissions growth. India emitted 2,299 million tonnes of carbon dioxide in 2018. India’s emissions carbon dioxide witnessed an increase of 4.8% rise from last year. The rate of growth of carbon dioxide emission in India was higher than that of the United States and China which are the two biggest emitters in the world. This increase in the emission of carbon dioxide was attributed to coal consumption. China, the United States, and India accounted for nearly 70% of the rise in energy demand. India’s per capita emissions were about 40% of the global average and contributed 7% to the global carbon dioxide burden whereas the largest emitter the United States was responsible for 14%. Under the INDC India has pledged to reduce the emissions intensity of its economy by 2030. But India’s energy intensity improvement declined 3% from last year even as its renewable energy installations increased 10.6% from last year. Approx, India requires at least $2.5 trillion (Rs 150 trillion approx.) to implement its climate pledge which is around 71% of the combined required spending for all developing countries pledges.